I read this article and found it very interesting, thought it might be something for you. The article is called Are you overstriding while running- Data Thursday and is located at https://runfastacademy.com/overstriding-running-data-thursday/. Are you overstriding while running? First question: Do you overstride? Most of the runners will tell me that they don’t over stride. However, if I were to show them how they run in a video play back, most of them then to over stride. As we can see in many TV ads where the runner in the ads tend to overstride for a dramatic feel and we tend to believe that this would mean it allows us to run faster and looks nicer in photos (I’m sure most runners do that whenever theres a cameraman nearby). Because of that, most of us tend to believe that it is how the elite runners run. 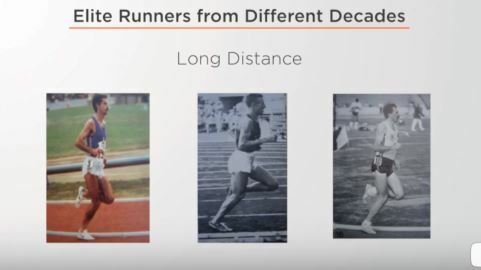 This is when I start to ask myself, “is there a standard for running technique to help runners prevent overstride and injuries?” Running injuries is one of the highest record as compared to other sports and the percentage keeps going up. Second question: Are we born to run? I will say, yes we are burn to run but we are not born to have running skills. Running skills need to be developed. Skill is developed through consistent practice and this will develop the perception of running. Just because running is easy to learn it doesn’t mean you don’t need to practice. It is important to ensure you have the foundation laid strong first. Third question: Does every runners have different running styles? For example, in a single race event there are 35,000 participants registered and assuming that each of them runs in a different style. 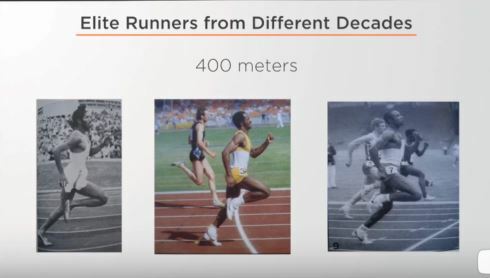 Does this mean there are 35,000 running styles? 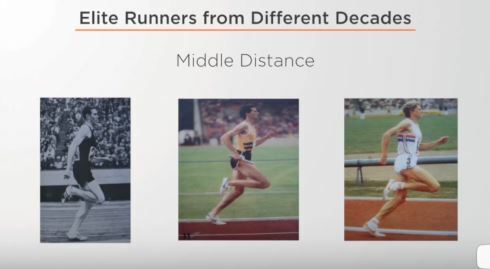 Additionally, the picture below also shows that both short distance and long distance running have the same running style. Don’t look for the foot stride type: regardless of what part of your foot you land on – forefoot, the entire surface of your foot (often referred to as midfoot) or your heel – you can still land ahead of your body. That is why at our seminars we always emphasize that it’s a mistake to focus on how and where your foot strikes the ground. The foot stride is only the result of correct action taken prior to the foot stride occurring.